I have been recording to tape and tinkering about lately, lost in tape loop land(cassette and reel to reel) and figured I would start a thread for videos and links that I find along the way. Have any guides, tips or info to share? I came across this video of Terry Riley a few weeks ago which I enjoyed. I was part of a all synthesizer group back in the late 70's early 80's and we used tape loops quite a bit. Samplers were very expensive and rare. We used reel to reel decks and made our own loops from sound effects records and field recordings. Most of our decks were modified with variable speed controls (all manual, none CV). We did lots of stereo stuff and our shows were all in stereo. I became very good at splicing tape (a good block is a great help). We used to do a lot of stuff based on specific loop lengths to create interlocking patterns and did some multi-machine loops (loops strung between two or more machines to make long echo fields). It is great how a little found sound or location recording can add that little something to an otherwise totally electronic piece. Today, I use some DIY modules based on the WaveTrigger PCB from Sparkfun. It is a little $50 assembled PCB that will play up to 14 tracks of CD quality sound all off a little microSD card. MUCH easier than using tape though not as visually interesting for sure. You can have loops that have lengths only restricted by the size of the micrSD card you are using. If you have a tape deck that DOESN'T have a 50/60 cycle switch on the back, this means that the deck uses DC motors to drive the capstans. Many Sony decks are like that. This means you can make them vary-speed. Pop it open and you will find a PCB near the motors with a couple of trimmers marked for the two speeds the deck runs in. All you have to do is get a pot at the same value as one of them. Cut the trace going to the wiper and put a switch in that switches between the new pot and the old trimmer. Wire the other legs of the new pot to the same legs on the trimmer. Now when you switch to the pot, you can change the speed of the deck. I have done this to a few decks. In most cases you won't be able to go much faster than the fastest normal speed, but you can go slow all the way down to a stop in many cases (don't want to do that for very long, the motors get hot). You will get plenty of useable echo speeds. This also works well for playing back loops and recording at a much lower speed which will result in some VERY good industrial backgrounds from many different field recordings. The only problem that arises is that the original bias oscillator that is recorded, which is typically super audio and not hearable, will drop down to an audible background whine. If the deck has both mic and line inputs, a headphone out, and separate level controls, an external mixer isn't needed in the echo loop. You plug into the left line in, take the left headphone out and plug it into the right line in, take the right headphone out and plug it into the Left mic input. Take both line outs back to your mixer. Now you have stereo ping-pong echos. The left mic input is your feedback control. Make sure the deck is set to monitor from the tape, the direct signal is from your original mixer channel. I have some old TDK and Radio Shack Cassette loops: 15 sec., 20 sec. 30 seconds. I still use them. They have a silent spot where they were 'spliced' as they were meant for old phone answering machines. I have two old RS portable table top recorders, a Sony Pressman and a Tascam 414 MK II. I put a loop in the 414 and stack hand drums on it and then play over the splice part live. Record 4 different radio broadcasts on the loop, etc. Crude but fun and sometimes effective. I've always been curious, how do you tell where to cut it to begin or end at a particular point? Or don't you? You need to scrub back and forth on the play head a bit to find the spot and mark it. The classic technique was to use a tape deck with exposed heads and do just what knows says and scrub back and forth manually till you get to the spot you want, then you would mark the tape with a china marker and slice it there on the edit block. In classic Music Concrete this technique was used dozens of times, re-recording the spliced tape and re-spliceing the tape over and over. Some classic pieces had the equivalent of hundreds of splices in some sections. Splicing back then, before synthesizers were common, was how you MADE the sound. splicing at different angles to create fades and such. Much easier to do on the full track and half track decks that were much more common. And 15ips speed too. Can you please include NSFW for stuff like this? That was obscene. Thanks for this thread, one of my favorite musicians (Muslimgauze) worked almost entirely with tape loops (as far as anyone knows wtf he did), so I've always been curious. 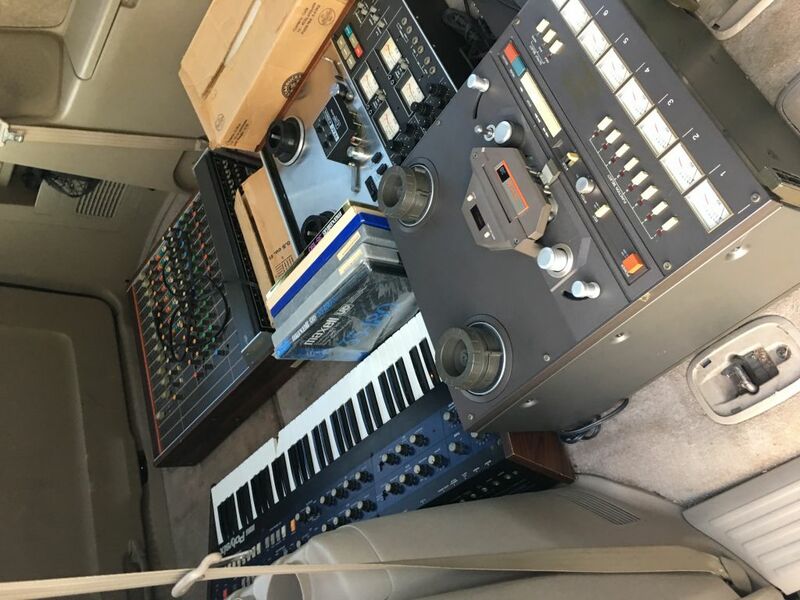 But just technically - outside of the aesthetics and fun of playing with physical tape - is there anything you can do with tape that you *can't* do in a DAW? Or anything that is just easier with tape? That sounds fantastic. I was thinking about using a laptop to loop a series of single notes in order to create droning modal chords which I can control by fading loops (/notes) up and down, then running the output through guitar pedals as a backdrop for bass lines and processed drums. Am I right in think that this could be a non-laptop way to do that? I don't have an Eurorack modules - could this operate as a standalone? 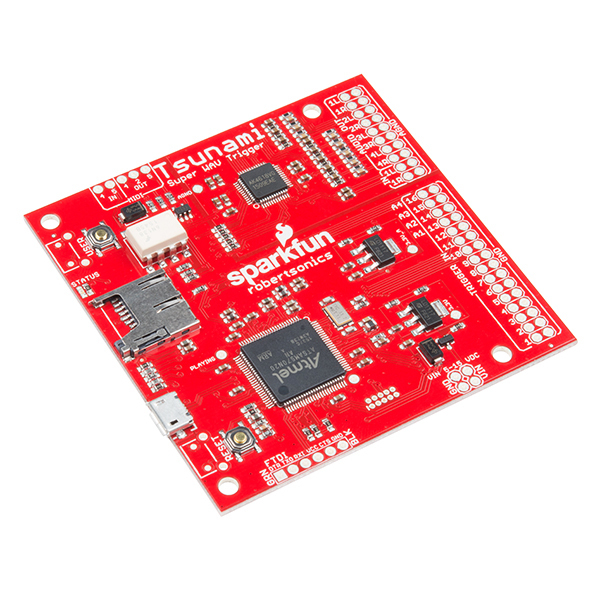 The guy who made the WaveTrigger has just released a new version called the Tsunami ( https://www.sparkfun.com/products/13810 ) for $80. This board is like the WaveTrigger except it has 8 CHANNELS out and the MIDI built in. Plays 32 mono tracks or 18 stereo ones at one time. You can access 4096 different tracks via MIDI. All in the same 3" square for factor. Nice stuff Ghostly Mostly. Is that a Tascam M35? Sure is! He threw it in for an extra 50$ too! GhostlyMostly was that your looping track you posted`? I think it´s really beautiful! There´s an organic quality in those sounds, that keeps the attention/tension high even if not much is really happening in terms of musical development. No sir, those were not my sounds but also enjoyed them.